A couple of years ago this Owl had the privilege of catching Portland’s pop rock quintet Wild Ones. The band had a great sense for catchy melodies, a feat the can easily draw in any audience. 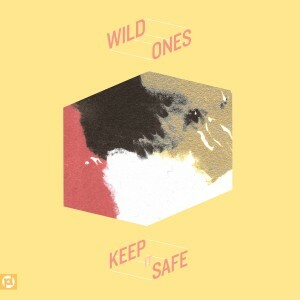 Two years later, they emerge with their debut record, Keep It Safe via Topshelf Records. A record that almost didn’t see the light of day, taking a little under two years to write and record. The band invested all of their time and money into this fantastic debut of an album. The attention the band pays to small details including two part harmonies at the right time, while the rest of the instruments build around it, creating a soothing and captivating sound. “Rivals” is a perfect example of the aforementioned with lead singer Danielle Sullivan‘s catchy vocals while the rest of the band impressively compliments each other. Withstanding a true test of time, Wild Ones continued on and overcame a dark time, which most would have given up on. Keep It Safe serving as evidence and inspiration to us all, to never give up, especially on music.